From the public’s perspective, we all want to be well and not sick. During the winter months we fear the flu and colds and according to American Public Media (2016) we spend over $40 billion dollars annually just to feel better. Whether that number is accurate, underinflated or overinflated, we can all agree that as a society we spend a significant amount of money just to feel better and not to actually be better. The new buzzword over the last decade has been “wellness” and even hospitals are touting to focus on wellness although most MD’s who staff those hospitals have little to no training in wellness vs. disease care. Personally, I welcome those highly trained MD’s who focus on disease care and our society desperately needs every one of them who is helping to successfully treat sick patients. However, medicine has failed at the “wellness game” and we are starting to see “functional medicine” practitioners who use holistic measures such as vitamins, herb, minerals and other natural means and most are not doctors of medicine, but practitioners who understand that wellness does not necessitate the use of pharmaceuticals. 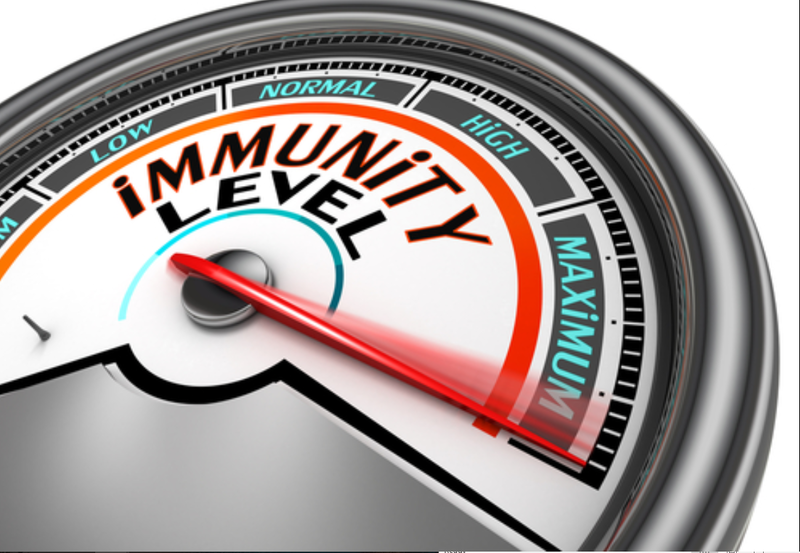 The goal of wellness is to increase our immune system to increase our immunity to various viruses and bacterial causing diseases in part of an overall health plan. Research done at the University of Madrid Medical School in Madrid Spain and the Department of Health Sciences at the University of Jaen Spain, Plaza-Manzano (2014) and fellow researchers found a link between immunity and chiropractic care. They were studying manipulation, or what chiropractors do when we adjust our patients and the cause for eradication of pain. They concluded that certain neuropeptides, or transmitters in the brain increase when our patients get adjusted. The specific neurotransmitter is called cortisol and according to Smith and Vale (2006) “The principal effectors of the stress response are localized in the paraventricular nucleus (PVN) of the hypothalamus, the anterior lobe of the pituitary gland, and the adrenal gland. This collection of structures is commonly referred to as the hypothalamic-pituitary-adrenal (HPA) axis...In addition to the HPA axis, several other structures play important roles in the regulation of adaptive responses to stress. These include brain stem noradrenergic neurons, sympathetic adrenomedullary circuits, and parasympathetic systems” (pgs. 383-384) . Smith and Vale also reported that balanced cortisol is important in the maintenance of the immune system. It was reported that post-chiropractic adjustment (high velocity, low amplitude spinal manipulation: SM), at 2 hours after the intervention, an increase was found only in the cervical SM group when compared with pre-intervention levels… the cervical SM group showed a signiﬁcant increase in cortisol plasma concentration immediately post-intervention compared with baseline values” (Plaza-Manzano et al. 2014, p. 235). This verifies that chiropractic care has a direct link to the cortisol-immunity connection through the neuro-endocrine reaction. I would like to leave you with a last and seemingly unrelated statement. Our research team felt it is important to add this at the end since many of our critics negatively portray the safety of chiropractic care. This statement shall put that to rest leaving only personal biases left standing. Whedon, Mackenzie, Phillips, and Lurie(2015) based their study on 6,669,603 subjects and after the unqualified subjects had been removed from the study, the total patient number accounted for 24,068,808 office visits. They concluded, “No mechanism by which SM [spinal manipulation] induces injury into normal healthy tissues has been identified”(Whedon et al., 2015, p. 5). This study supersedes all the rhetoric about chiropractic and stroke and renders an outcome assessment to help guide the triage pattern of mechanical spine patients. Smith, S. M., & Vale, W. W. (2006). The role of hypothalamic-pituitary-adrenal axis neuroendocrine response to stress. Dialogue in Clinical Neuroscience, 8(4), 383-395.